​At Kiki London we are a UK's leading and growing Nail Gel brand with a strength-formulated gel polish in a growing 42 trend-based colour range. 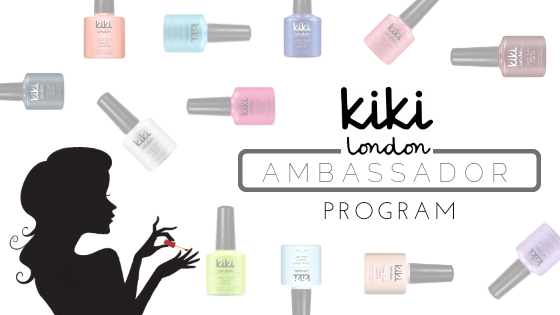 We pride ourselves in our amazing product range and ability to support salon-based solutions on gel manicures and pedicures, there is no better time to join the Kiki London Ambassador Programme! Opportunity for your features and exposure on the social media platforms and magazine distribution including Cosmopolitan! We aim to get back to you within 24-48 hours. ***Please note we do not auto approve any members, all affiliates are validated and must meet our set criteria to join the Kiki London Ambassador Programme.